I have always loved writing, and the dream to write a book has been alive in me from a young age. I have written a couple children’s books (unpublished and sitting in my home office), and made notes for a fiction novel, as well as trying to keep up with my blog Ramblingrunnergirl.com that I started about three years ago. However, the book that I am now working on is not at all what I had in mind when this dream began. 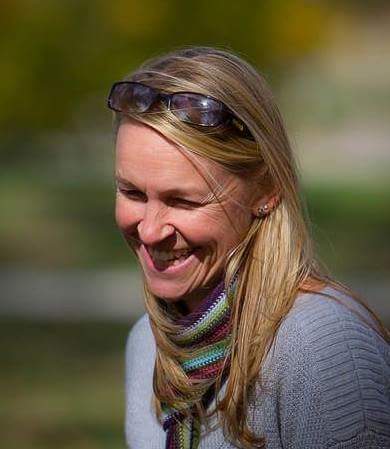 As human beings we morph throughout our lives, and over the last couple of years it became apparent that I have an important story to tell about the challenges I have faced and overcome. While going through a very difficult divorce about four years ago, I took up a new hobby — the triathlon. 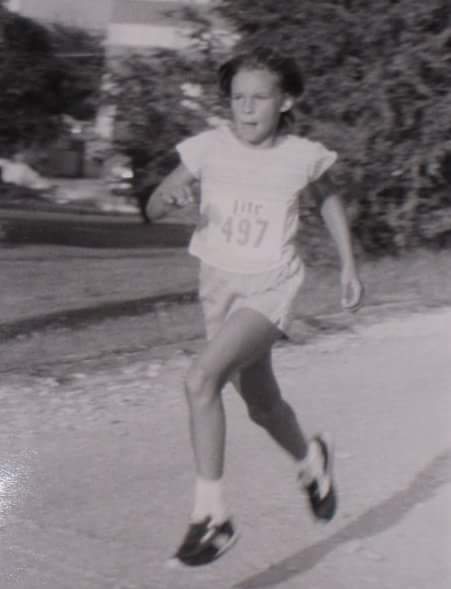 I have been a runner since the ripe old age of nine, but swimming was something I always avoided. A good friend of mine convinced me to give triathlon a shot and, somewhat begrudgingly, I did. Even with several marathons (26.2 miles) behind me, the 10k at the end of that very first triathlon was physically the hardest thing I had ever done. From there the challenge grew to complete a half Ironman, which is 70.3 miles. It ultimately grew to complete of a full Ironman, which involves a 2.4 mile swim in open water, a 112 mile bike ride in the foothills of Arizona, and ends with a full marathon, for a total of 140.6 miles. I did that on a November day in a little over 15 hours. As I have taken on this new hobby, it has been very clear that the triathlon, specifically something as tough as an Ironman, is very much a metaphor for life because there are three distinct parts to it. Some things in life threaten to overwhelm and overtake us, much like drowning. There are other things that we can sort of “fake it til we make it,” even if we wipe out once in a while which, in my case, is like biking. And there are the things that we are passionate about that bring us joy. For me, that is the final leg of triathlon, the 26.2 mile run. Suffering various forms of abuse in my life, as well as some tragic losses, has been a lot to endure. I have battled depression, anxiety, PTSD, you name it. But looking back, I can see how those things strengthened me and molded me into the person I am now, and am continuing to become. I learned a lot about myself on the journey to become an Ironman, and it is my sincere hope that the lessons I learned in that process can be an inspiration to others who may feel trapped in their life circumstances. It is never to late to break out of the box, put the past behind, and live a life that you love. What made you decide to participate in our Group Book Coaching program? In the fall, just before I met Nancy, I became friends with Paul Gilbride, another St. Louisan who is also a client of Nancy’s. We talked about our personal stories, and he became very excited about introducing me to his book coach. I, too, was thrilled with the idea. This sounded exactly like what I needed to do to jumpstart the book that was formulating in my brain. I wouldn’t have attempted an Ironman without some expert advice, so why would I try to write a book without it? The purpose of my book is to show athletic women, aged 30-45, who feel trapped in their current circumstances that they have many choices. I encourage them to choose a path of their own and push through their struggles and fears, so they can create a life that they love. What has been your favorite part of writing a book online through the Group Book Coaching program? My favorite part was working on my BookMAPs. As Nancy often says, “While you are working on your book, your book is working on you.” This couldn’t be more true. I’ve done a lot of hard work over the last few years to become the person I want to be, but through the process of mapping out my book, I have had a front row seat to witness the progress I’ve made. I think the part of the program that has been most helpful is how Nancy breaks everything down into manageable chunks. The very possibility of writing an entire book can be somewhat daunting. But I actually look forward to each assignment because I’m confident that while it won’t be easy, it is something I can do and enjoy. I would absolutely recommend this program for other aspiring authors. I believe that each of us has a unique story to tell, but we sometimes hold back out of fear or lack of direction. Anyone who has ever had a dream of telling their story can benefit from this program. 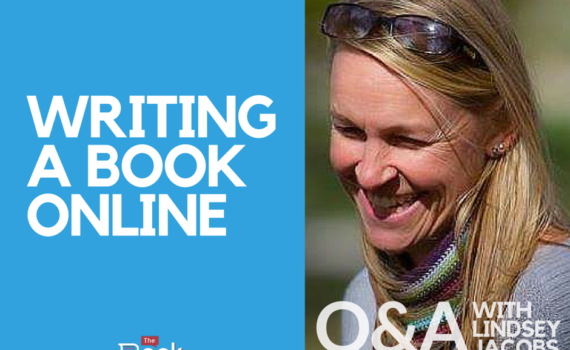 What has it been like to take on the process of writing your first book? I am still in the beginning stage of the first draft of my book, but it’s just a matter of time before I put the many thoughts in my head into words to create the book that is inside of me. I am no stranger to setting goals. As a 40-year-old single mom and nursing student who has completed an Ironman, I think it’s fair to say that I am driven to achieve. I have always been goal oriented, but the process of pursuing this dream–writing my book–has reminded me that facing fears and being vulnerable are an essential part of living. We are only given one life to live, and we need to make the most of the dreams we have. Those dreams ebb and flow with time, and our needs and abilities change, but for me personally, I always need to be in pursuit of something–even if that something is as simple as being the best that I can possibly be. Just like a marathon begins with a single step, my book begins with just a single word. It doesn’t matter how slow I’m going, as long as I continue moving forward, one step at a time. I know I will cross the finish line. 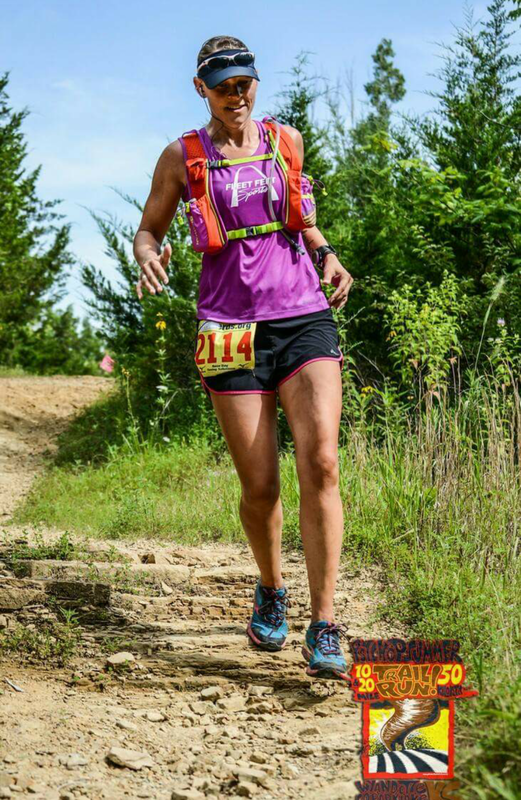 Learn more about Lindsey at www.RamblingRunnerGirl.com. To learn more and enroll in our Spring/Summer Group Book Writing Program, click here.